The perfect gift for your favorite coffee drinker. A pair of matching ceramic Starbucks mugs included. 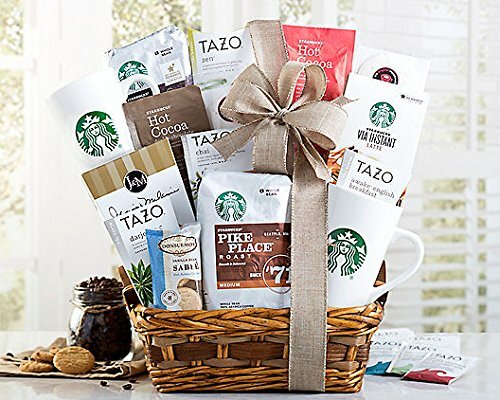 See Product Description below for a list of all the gourmet treats included in this gift basket. Wine Country Gift Baskets is a quality brand that your recipient will appreciate. If you have any questions about this product by Wine Country Gift Baskets, contact us by completing and submitting the form below. If you are looking for a specif part number, please include it with your message.